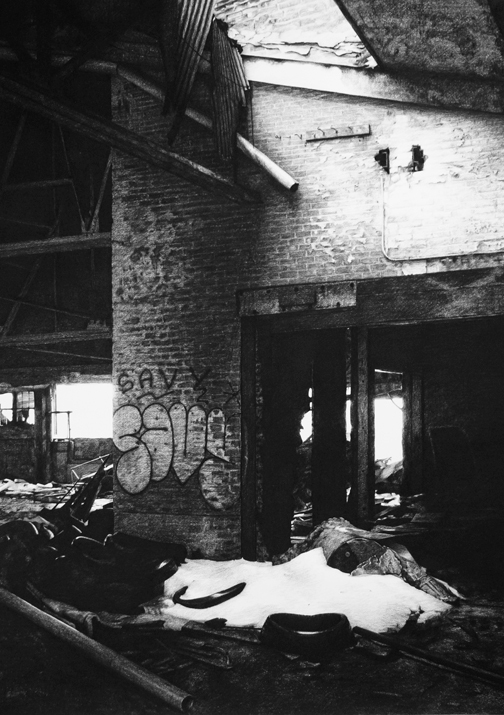 A native of Detroit, Michigan, Stephanie Buer has an intimate appreciation of urban desolation and a love for the once prosperous buildings that have been abandoned to time and the elements. 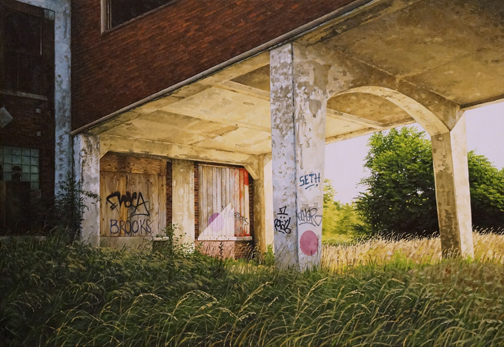 Her works in both oil and charcoal capture with photo-like detail the layers of gritty history that accumulate as these places succumb to the manipulation of vandals, artists, and the steady persistence of nature. In the juxtaposition between decay and growth, Stephanie finds a place that echoes the peace she finds in nature, with its endless cycles of change. 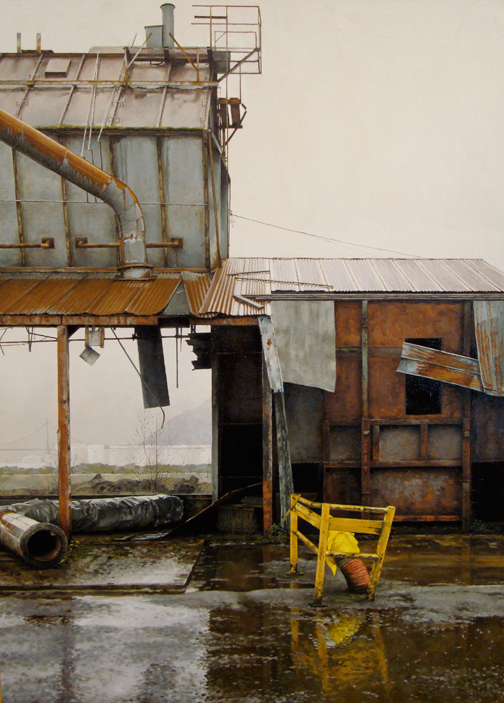 Part of the power in Stephanie’s work comes from the absence of human figures in a place clearly marked by them. 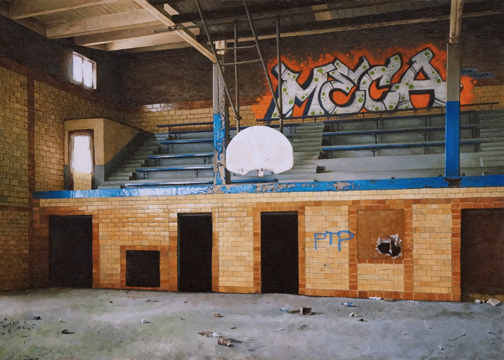 Rather than allowing distant observation as narrative, she draws viewers in to witness the space that people have left behind, compelling them to personally experience these modern relics that have been condemned by society. 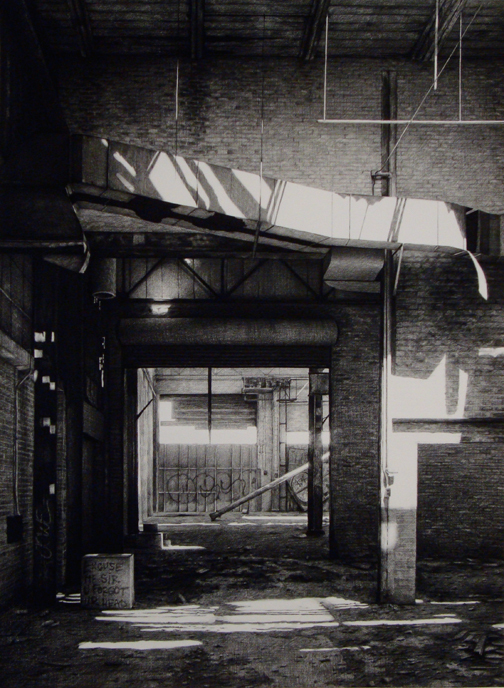 The simultaneously idyllic, yet derelict scenes challenge viewers to question their notions of beauty, while the detailed texture and depth that is characteristic of her work invites them to explore these places personally, as she does while taking the photographs from which she works. May 7, 2011 | Filed under People and tagged with north coast seed building, North Coast Seed Studios, North Coast Seed Studios Open House 2014, stephanie buer.